Home / What’s the Difference Between Content Optimization and SEO? What’s the Difference Between Content Optimization and SEO? In the world of online marketing, the terms SEO and content optimization are used frequently. It is also being used by the same types of people, in the same context and in similar strategies. Are they the same? If not what are their difference. For a newbie in the online marketing industry, you will find it confusing. Even if you are a veteran, you might be having trouble drawing the line between the two concepts. This is just fine because these two concepts are tightly intertwined subjects. However, to maximizes each of the strategies, you must know where each start and where it ends. SEO and content optimization are two of the most important weapon that you need to have in your marketing arsenal. For a success in marketing online, you need to use both correctly. But to do that you need to know how to use them both correctly. If you know the benefits of using SEO and content optimization, chances are you are bound to succeed. SEO is a series of tactics that are meant to increase your website’s ranking s in search engines, which includes the individual pages within the site. The search engines rank the pages based on two categories of factors: authority and relevance. To increase your relevance, you have to customize your content to a certain segment of search users while to increase authority is to make your site more trustworthy by creating better content and earning links. Your goals are to increase your website’s visibility by complying with the search engine ranking methods and expectations. In other words, your goal with SEO is for search engine crawlers to ‘read’ as many pages as possible from your web property and incorporate them in their index. And the more pages they have in their index, it will increase your chances of appearing in their web result pages when someone makes a query in their search box. Although this is not the only parameter that plays a role in the search engine ranking method, this is how to simplify it. Since we will be making a comparison with content optimization, we will be focusing mainly on this parameter. So, what are the benefits we can get from an SEO optimized website? When we put things on equal perspective, an SEO optimized website can give you a higher ranking in Google and get more traffic from search engines like Bing, Yahoo, etc. And your website can attract more targeted traffic who are searching for things your website have. This will lead to more sales and more conversions and your website will perform better than no-optimized sites. Content optimization is defined by its goals and techniques. The goal is to create a valuable content for the customers’ consumption. A valuable content should be practical, useful, entertaining and informative. The type of content can be blog posts, info graphics, white papers, podcasts, videos, and even just paragraphs used to crowd the pages of the website. Simply put, your content must naturally attract people to your website by giving them something that they want and then convince them to convert by incorporating a soft pitch of your products and services. Obviously, one of the benefits is to increase your website traffic. A credible content can create your presence on the web. A persistent content optimization creates and awareness of your brand and many people will remember your brand and it represents. If you offer a solution, a suggestion of some sort of help people will response and this is engagement. When you engage your customers positively, the more they will be eager to do business with you. When your website increase its traffic and your brands become known, as you engage more with your target audience, you will naturally get more leads and that means more conversion. One good thing about content optimization is that it is not about quantity but quality and uniqueness. Where Does Content Optimization and SEO Overlap? Content Marketing and SEO marketing share the same space because they share the same goal, and that is to bring more people to your website. They also share the same mechanism. Content optimization is capable of bringing the audience to your website by appealing to readers and spreading the word through word of mouth and social shares, which is also necessary for SEO. 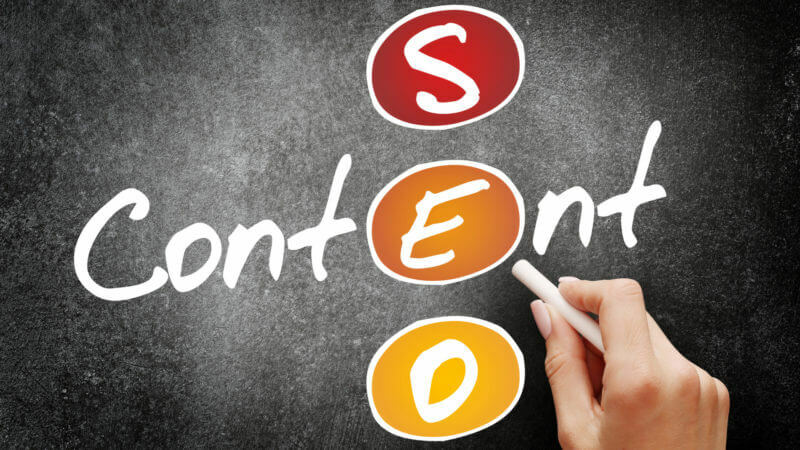 The relationship between SEO and content optimization is revealed in many dimensions. Content provides the medium for keyword optimization. Your website content provides an opportunity to include specific keywords throughout your site or target niches that would appeal to your ideal audience. Your content adds new pages that can be ranked. Did you know that each page that you create becomes another page that Google can index? Although quantity alone is not enough to increase your rankings, it can provide you with a more diverse range of keywords to rank for. A good content can also increase your authority. If your content is of high quality, it will increase your authority and will rank you even higher. On the other hand, if you optimize for search your content will generate more visibility quickly. With a steady torrent of organic traffic, your readership can grow faster. The overlap between SEO and content optimization end? SEO’s focus is on attracting users by first appealing to search engines and climbing the ranking, content optimization, on the other hand, is focused on appealing to users directly and appeals to SEO. SEO is more technical and is concern more with website design, structure and behavior while content optimization is how to get more exposure online with the use of content. Using SEO as your strategy, you need to make sure your website has proper titles, descriptions, and URLs, loads fast, images have a proper alt tag, and has an easy to use menu among others. With content optimization what you need to do is to decide on what kind of content to publish, how to present it and how to promote it online to appeal to your target audience. If you need a comprehensive online marketing strategy, you will need to use both SEO and content optimization in combination with one another. You cannot choose one over the other, rather than doing it you need to find a healthy balance of both to achieve success.